I played a bit of Alpha Centauri when it was new, and, more recently, I’ve played a fair amount of Civ V. But I’d hardly call myself a 4X-Expert. All said, I’ve probably spent more time with the last act of Spore than with any other space strategy sim. But since I’m one of the few Tap-Repeatedly writers who is generally positive about the possibilities of Steam Early Access, I thought I’d give a new indy strat sim a try this month. This is Horizon, a 4X Strategy Space Sim by Canadian based team L3O Interactive. I’m not very good at it yet, but I’m getting there. If you know what a 4X game is (explore, expand, exploit, exterminate – yeah, I did have to look that up to be sure I had it right) already, then you’ll likely be familiar with this game’s structure. The object of the game is to conquer the galaxy by means of meeting one or more set victory conditions. Along the way, you can colonize new planets to spread out the influence of human society, and build pleasure domes. (You know you want to build pleasure domes.) 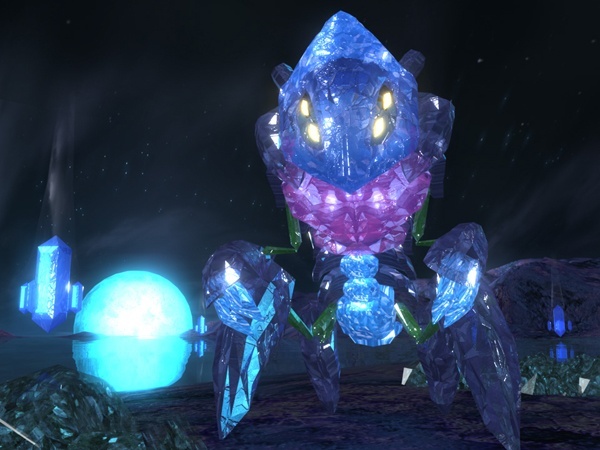 Killing all alien species is an option, as is a diplomatic victory, but the game also has a story mode where alternate victory conditions can be set by missions. The story mode is optional and can be toggled off for a more classic strategy experience. Confusion is mitigated somewhat in this title by an interactive tutorial, which explains most of the game’s dense interface and turn structure. The tutorial will guide a first time player through a set of opening moves which, while instructive, are not necessarily optimal. This is probably why there is both an achievement for doing the tutorial and one for skipping it. After getting the hang of the game, I definitely wanted to restart Horizon and use those crucial opening moves a bit more wisely. The tutorial also doesn’t really discuss alien diplomacy, or explain technologies in much detail. It’s 2014, though, so what isn’t present in the tutorial and manual might be a slack picked up by the broader internet of forums and community wikis. I’d be interested to see what someone who really loves 4X thinks of this title, so let me know if you try it out. Horizon is available on Early Access now, or, will be officially launched in February of this year on Steam. Sweet. I love a good 4X game, you can never have too many. I’m embarrassed to admit that I own a perfectly good copy of Endless Space and still haven’t really gotten into it yet. It looks like L3O has done a pretty good job here. 4X is no easy feat for a smaller indie to manage. AJ, say more words about these interactive combat scenarios you mentioned. How does combat work aside from the high-level? Anything new or unexpected here? You can design the ships yourself, within four different size categories. You can research different weapons to attach to the ships and name the ship types. 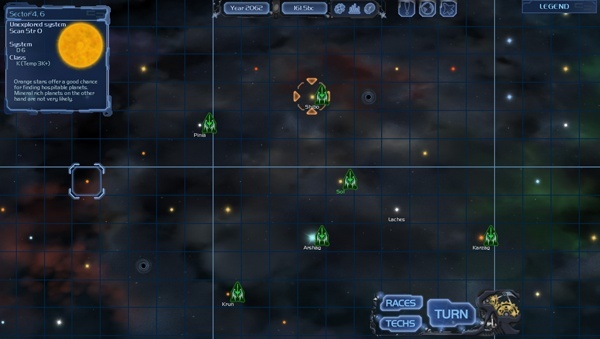 Then you can position the ships in a combat scenario and click on other ships to fire. It’s mildly tactical, but in the early stages of the game I just felt better off clicking “auto” and letting the game maneuver my ship without my help. It personally felt to me like the design phase – what weapons and crew does the ship have – was a lot more important than the actual direct business of driving the ship to shoot at other ships. But YMMV on this one; there might be some strong advantage to manually positioning the ships that I’m not seeing. One thing that is a bit neat is you can also choose to board alien ships, which sometimes means you’ll be able to get some alien tech before you take them down. The combat sounds a bit like Master of Orion II, perhaps. Which wouldn’t surprise me, since that’s the quintessential space 4X still. The “1 turn = 1 year” thing has always rankled me a little, but it’s kind of a 4X genre trope at this point. It works okay for something like Total War, in general, when realistically the movements of your armies across the map will take months, but it’s always ambiguously iffy for sci-fi. Depending on the mythology, of course, that might account appropriately for the speed of the game’s FTL drives – perhaps it is a setting where interstellar travel takes years and years in the best of cases, and so war will by definition be somewhat protracted, at least at the macro level. But I’ve certainly gotten into plenty of twenty year wars with other interstellar empires that in context amounted to little more than a border conflict. Really, I think the overall feel and flow of war is something the genre has yet to crack very well, since it either feels very gamey and abstract (Civ) or way too complicated (say, Hearts of Iron III). Oh, I also got a question elsewhere – is all the combat turn-based, all the time: yes it is! Combat is split into 20 rounds per turn. I, too, have a copy of “Endless Space” (and it’s expansion!) that I have installed and never played it. I have also purchased “Gal Civ II” (and any expansions) and have never played it. I also purchased the most recent addition of “Sins of a Solar Empire” (and its expansions) and have never played it. I also purchased “Star Drive” and have never played it. I invested a rather large amount of money in buying “Distant Worlds” and all of its various expansion packs and have never played it. I feel your pain, Ajax. It takes a long time to conquer a galaxy. A turn is a whole year!